In 2015 I was invited to go to Warwick in New York state to help establish a drama group for senior citizens in the town library. I had been running two drama groups for the over 50’s in West Yorkshire for a number of years. An American dramatist, Linda Richmond, had read about my work and at a conference in Oxford, asked me to come to her town to start a group there. I did a play in a day, open to all senior citizens in the town, where we created a play from scratch which we then performed in the evening for an audience. There were 15 participants who produced a play about actors arriving for an audition. This group then became the nucleus for an ongoing group – ‘Acting for Change’. 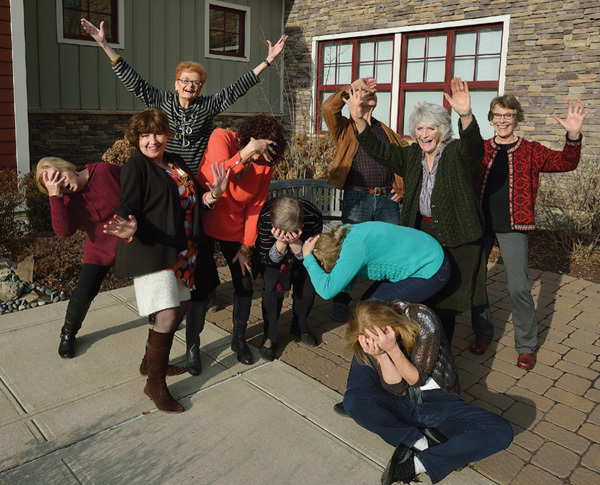 The library itself was awarded the title of the best small library in America in 2016. An article about the first year of this work was published in the Journal of Psychodrama, Sociometry and Group Psychotherapy, vol. 65, No 1, Spring 2017 pp99-110: 'Acting for Change, by Linda Richmond and Ron Wiener'. This September (2018) I went back to Warwick to work with the still flourishing group and also to run a workshop with Linda for libraries in the surrounding areas. This has led to Linda offering a course for potential workshop leaders to run sessions in other local libraries. 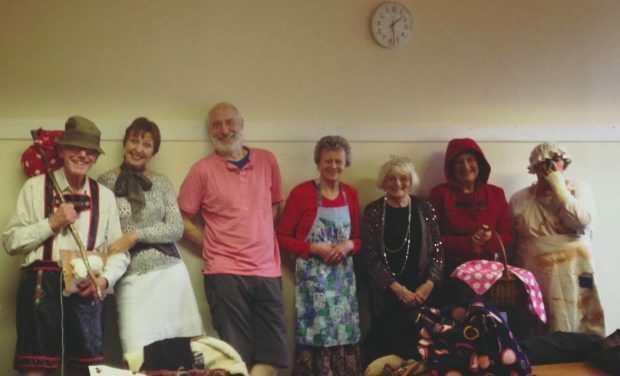 The two groups I run in this country consist of a social improvisation group in Leeds and a performing group in Huddersfield who create all of their own plays which are then performed in a variety of community settings. These have been published: The Handy Book of Unscripted Plays (lulu 2017) Franc Chamberlain, Professor of Drama, Theatre and Performance, University of Huddersfield said: "This book offers some of the scenarios and scripts created by the Curtain Up Players ... They will be useful as starting points for amateur theatre groups as well as school, college and university sessions and group workers of many persuasions." We live in an age where loneliness is an issue for older people and where support services are diminishing in an age of austerity. Involvement in a drama group creates social capital where relationships are formed, cognitive skills continue to be practiced and new roles created. As Kath Ogden, a long time member of the Curtain Up Players put it; “I like the enjoyment of being together and having a laugh. I appreciate the support, we’re a bit like a family, we’re there for each other.” All of the work in all the groups is unscripted which saves actors from having to learn lines, a problem with faltering memories in later life, but necessitates embracing spontaneity and creativity. For community audiences it means a day out, meeting others, something new and a lift in their spirits. To find out more about the Curtain Up players, follow them on facebook. If you are interested in setting up a similar group in your library, please contact Ron. These are very interesting workshops. We would like to know the rules of work. We are looking for a library that will oblige us for a study visit for 2-3 days as part of the ERASMUS Program.